Despite these days of instant gratification via the internet, many of us still love our cookbooks. 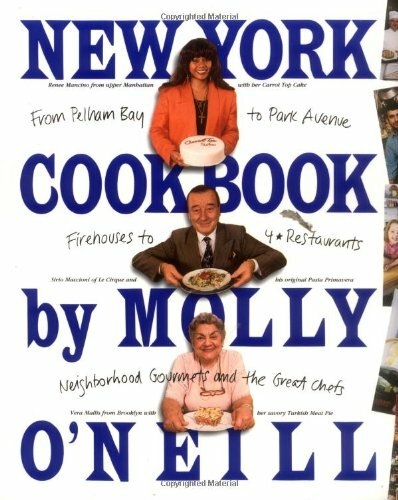 One of my favorite cookbooks is “New York Cookbook: From Pelham Bay to Park Avenue, Firehouses to Four-Star Restaurants” by Molly O’Neill. It is chock filled with New York stories and personality. 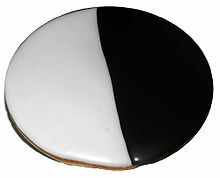 In every New York or New Jersey deli you will find a Yin-Yang or Black ‘n White cookie. This recipe comes from Zabar’s and is included in the New York Cookbook. Enjoy! constantly) until mixture is thick and spreadable. chocolate frosting and the other half with white frosting. 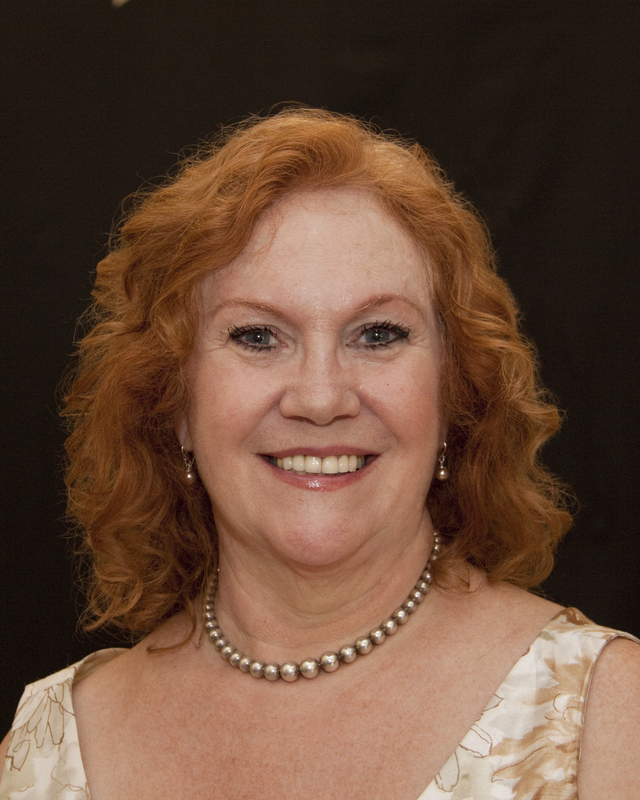 This entry was posted in Recipes and tagged Cookie recipe, easy recipe, Molly O'Neill, New Jersey, New York, New York Cookbook, Shawn Phillips. Bookmark the permalink.